My First Refrigerator Set comprises of a set of two Cool n Fresh Small, a set of two Cool n Fresh Medium, a Freezer Mate Small and a Freezer Mate Deep Pocket. 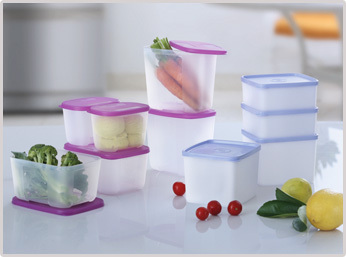 This set not only saves space but helps you enjoy fresh food. It is a conprehensive solution for storing cut fruits, vegetables, leftover food in the fridge as well as storing peas, corn or meat in the freezer.